Smooth, precise moving images with 4K clarity and special functions for visual simulation. 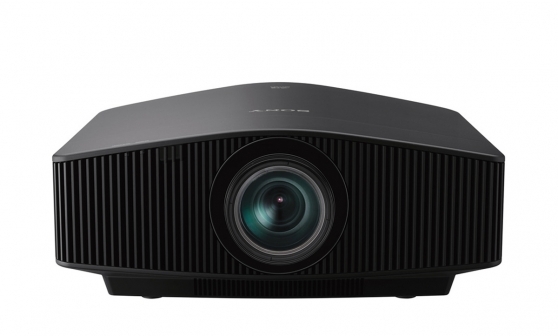 For advanced simulation applications, the VPL-GTZ240 laser projector delivers high-contrast 4K images with 2,000 lumens light output and smooth, ultra-responsive reproduction of fast-moving action. The long-lasting laser light source is combined with 4K SXRD panel technology to deliver bright, crisply detailed native 4K images (4096 x 2160) with more than four times the resolution of Full HD. Picture quality is further enhanced by Reality Creation upscaling, plus configurable support for HDR (High Dynamic range) and high frame rates to take full advantage of today's premium 4K content - and tomorrow's. The VPL-GTZ240 has two types of black frame insertion modes to reduce motion blur and smear. The low transport delay contributes to extremely responsive performance in fast-motion simulator applications. The VPL-GTZ240 is particularly suitable for demanding multi-projection applications in 2D or 3D, with consistently homogeneous brightness. The highly efficient laser light source is rated for a nominal 20,000 hours* for virtually zero maintenance without the need for any lamp exchanges. *Depends on usage and environment. Advanced SXRD panel technology featured in Sony's digital cinema projectors delivers native 4K (4096 x 2160) resolution images, with no artificial pixel enhancement. Every detail is wonderfully clear and natural, without jagged edges or visible pixels. The brightness and colour temperature of the VPL-GTZ240 has been pre-adjusted in order to reduce the adjustment time for multi-projection. The advance optical engine reduces internal light leakage, for spectacularly high contrast images with huge amounts of finely-rendered picture detail in dark shots. Take full advantage of the latest content produced with High Dynamic Range for sharp contrast and more accurate detail, from searing highlights to richly detailed dark scenes. Lower resolution input signals are accurately upscaled to 4K pixel resolution by Sony's advanced Reality Creation engine: you won’t see any individual pixels - just beautifully natural 4K images. Thanks to the highly efficient and reliable laser light source, users can benefit from startlingly clear 4K pictures plus up to 20,000 hours* uninterrupted operation with no lamp replacement - far longer than conventional lamp based projectors. Enjoy responsive, lag-free performance with an extremely low transport delay; ideal for fast-moving content. Don't lose time - laser light source starts instantly, allowing you to start projecting in moments without lengthy lamp warm-up time. Motionflow ensures smoother, less blurry on-screen images. A choice of black insertion ratio modes allows effective reduction of image blur and smear. The projector's built-in RF transmitter synchronises with any RF 3D glasses for wider coverage and greater stability, with no need for an external transmitter. Extra-low noise fan with one-way air flow ensures extra-quiet operation for minimised audience disruption. High altitude mode adjusts fan rate for efficient operation at altitudes above 1500m. 1.0W (LAN) (when "Remote Start" is set to "On") When a LAN terminal is not connected, it becomes a low power consumption mode (0.5 W).